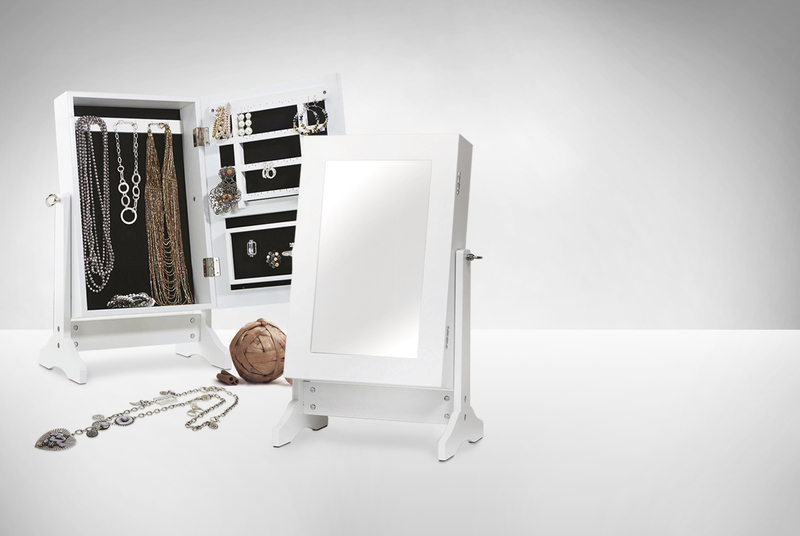 Stylish white wooden jewellery cabinet with mirror. 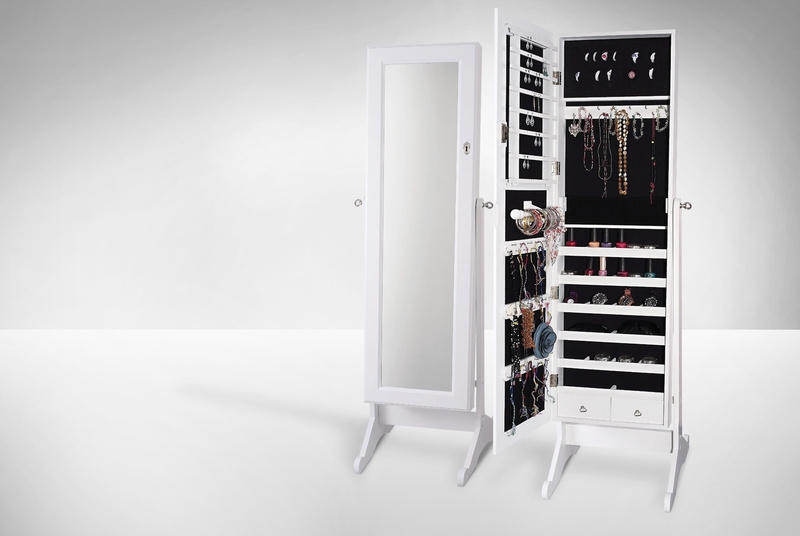 Ideal to hold earrings, necklaces, rings and more in a secure and practical way. Soft black padded interior comes with different hooks to store costume jewellery easily.